With the Bank of England base rate likely to stay at 0.5% tomorrow, savers are still struggling to get decent returns on their accounts. Which? Money experts outline your options if you are looking for the best savings account for your current needs. If you are a UK taxpayer, it makes sense to use your tax-free Isa allowance on a cash Isa first before you consider other savings options. You pay tax on interest earned on standard savings accounts in line with your usual rate (20% or 40%). The best current Isa deals offer rates of between 2.8% and 3.05% and the tax-free part makes these accounts more attractive than the best instant access accounts. Cash Isas operate in the much the same way that instant access savings accounts do, although there are rules for opening one and transferring cash from one Isa to another. There’s also a limit to how much you can put into a cash Isa each year – currently set at £5,340 for the 2011/2012 tax year. Compare the latest Best Rate cash Isas. Instant access savings accounts are for those people that want quick access to their money without penalties. Accounts usually come with a plastic card so that you can withdraw your money at a cash machine if need be. Instant access accounts often come with an introductory bonus for six or twelve months, so check to see when the bonus period expires as you’ll then go onto the lower, variable rate. Savers can currently earn around 3.1% before tax on some accounts. The Which? Best Rates on instant access savings accounts show the best current deals out there. These accounts differ from instant access accounts in that you’ll have to tell your provider in advance if you want to make a withdrawal. The normal periods are 30, 60 or 90 days and if you do make an unexpected withdrawal from a notice savings account, you’re likely to lose some interest. In the past, notice accounts have offered higher interest rates than instant access deals – but this is no longer always the case. Therefore, before opening a notice account, it’s worth checking to see whether you could get the same return on your money without restricting your access to it. The best notice accounts currently pay between 3% and 3.16%. Regular savings accounts require customers to deposit money each month – so they are ideal for savers who are just starting out, or who wish to drip feed cash into their account in a disciplined way. These accounts will usually limit the number of withdrawals you can make each year and restrict the amount of money you can invest each month. The interest rate on these accounts can be either fixed or variable, so remember to check. These bonds are usually offered for between one and five years. The longer you lock up your money for, the better rate you’re likely to get. If you do need to get at your money before the end of the term, you’ll be deducted some interest. The Which? fixed-rate Best Rate tables will give you all the up-to-date interest rates. It may not appear worth switching your savings, but if you’re getting 0.1% or 0.5% on your money, and many of you will be, then it seems criminal to leave your money where it is. Use our guide to help choose a new home for your money. Once you’ve made your choice, apply to your new savings provider. It will probably need to see two forms of ID – one to prove who you are and one to prove your address. The new provider will open the account for you and let you know once this is done. When the new account is open, transfer the funds from the old account. Which? Best Rate Isa reviews – we analyse the Isa market to find the best deals. 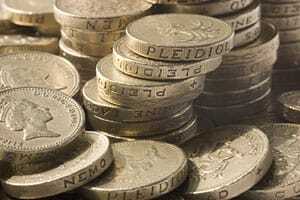 Finding the best savings account – use our advice to help you find the best option. Which? Best Rate savings reviews – all the best rates on various savings accounts.